The fact that I run a small in-home childcare, am Grandma to 5 amazingly beautiful children who live one minute down the street, and that my Jeff's night time college classes have started up again, which he heads to straight from work...I sometimes find myself scrambling for a quick meal option. Enter Healthy Choice Baked Entrees! I was provided with free coupons to try for myself, as well as give my honest opinion of Healthy Choice Baked Entrees, so I hit my local grocery store to grab a couple of them. 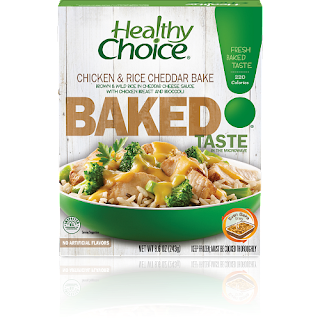 I was really pleased to see the large variety of meal choices, but it was a no brainer for my first choice to be the Chicken & Rice Cheddar Bake. I absolutely LOVE recipes that include cheese, chicken, broccoli and rice. The first thing I noticed was that the rice was whole grain brown & wild rice pilaf, and it was perfect, the broccoli was crisp, just the way you want it to be, there was plenty of sliced chicken breast, and the creamy cheddar cheese sauce was awesome! My second choice to try was the Roasted Chicken and Potatoes, and no, I did not eat both of these right after one another! 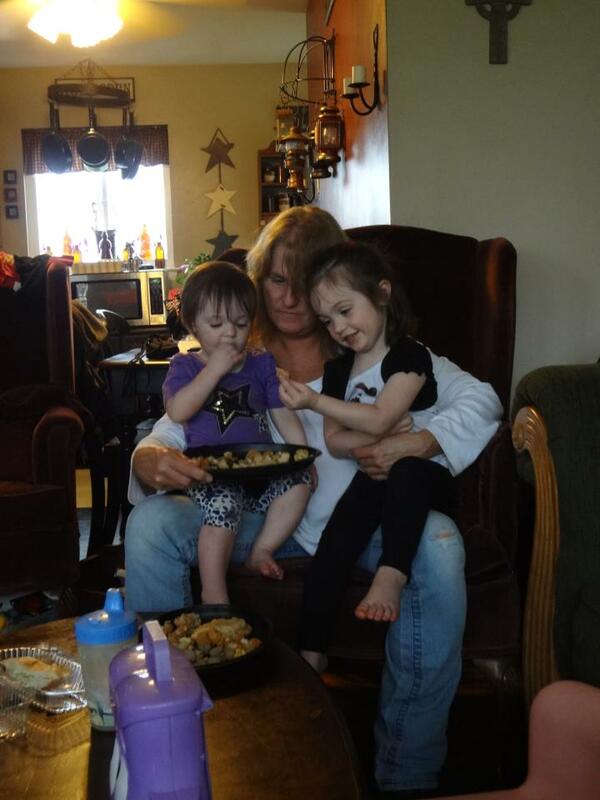 I choose to have lunch during my daycare kids afternoon naptime, so that I can sit and enjoy my food, and having the convenience of a microwaveable meal that tastes like it came straight out of the oven was wonderful. It was really delicious, the red skin potatoes, matched with the crisp carrots and tender pearl onions reminded me of my own recipe, except my carrots will not remain crisp, though I wish they would. The slices of chicken breast and the light chicken and herb sauce were very tasty, but I did add a bit of garlic salt to mine, as I do like a bit more flavor. · Four Cheese Ziti Marinara: Freshly-made ziti pasta tossed with classic marinara and topped with a blend of fine Italian cheeses; Parmesan, Romano, Asiago and mozzarella. · Roasted Chicken and Potatoes: Savory slices of chicken breast with red skin potatoes, crisp carrots, and tender pearl onions in a light chicken and herb sauce. · Fettuccini Alfredo Bake: A classic combination of freshly-made fettuccini pasta and rich Parmesan Alfredo sauce with crisp broccoli and topped with seasoned bread crumbs. · Italian Sausage Pasta Bake: Freshly-made whole grain rotini pasta paired with juicy Italian sausage, tossed in a rich garlic marinara together with bubbling mozzarella cheese. · Lasagna with Meat Sauce: Three rich layers of freshly-made pasta, hearty meat sauce, and ricotta cheese topped with mozzarella for perfection. 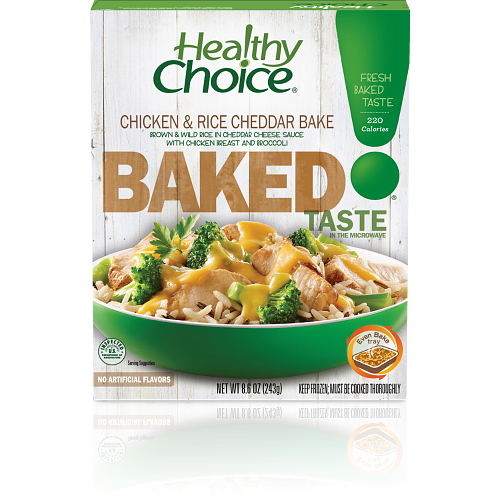 · Chicken & Rice Cheddar Bake: Whole grain brown & wild rice pilaf with crisp broccoli and sliced chicken breast in a creamy cheddar cheese sauce. · Chicken & Spinach Alfredo: Freshly-made whole grain penne pasta tossed with sliced chicken breast, spinach and tomatoes in a creamy Alfredo sauce. · Chicken Enchilada Bake: A full-flavored chicken enchilada over cilantro rice and topped with corn, black beans and a decadent queso sauce. · Ravioli Marinara Bake: Rich ricotta and spinach filled al dente ravioli tossed in a tomato basil sauce and topped with fresh mozzarella cheese. · Slow Roasted Turkey Bake: Slow roasted turkey breast accompanied by potatoes, butternut squash and crisp green beans topped with classical gravy and crispy onions. 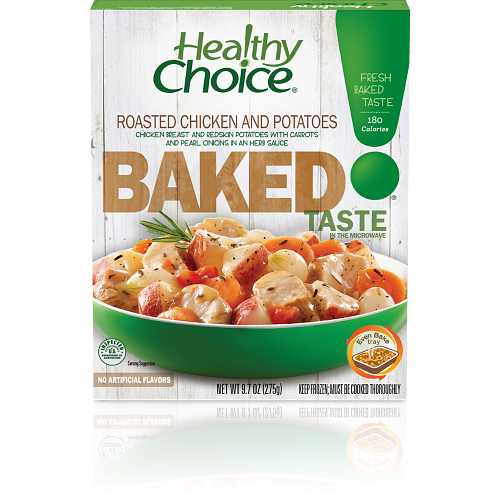 Baked Entrees not only deliver on the Healthy Choice nutrition people rely on, but also feature culinary favorites and ingredients that win on taste like no other. Prime example of why I choose to eat my lunch after kiddos are napping!